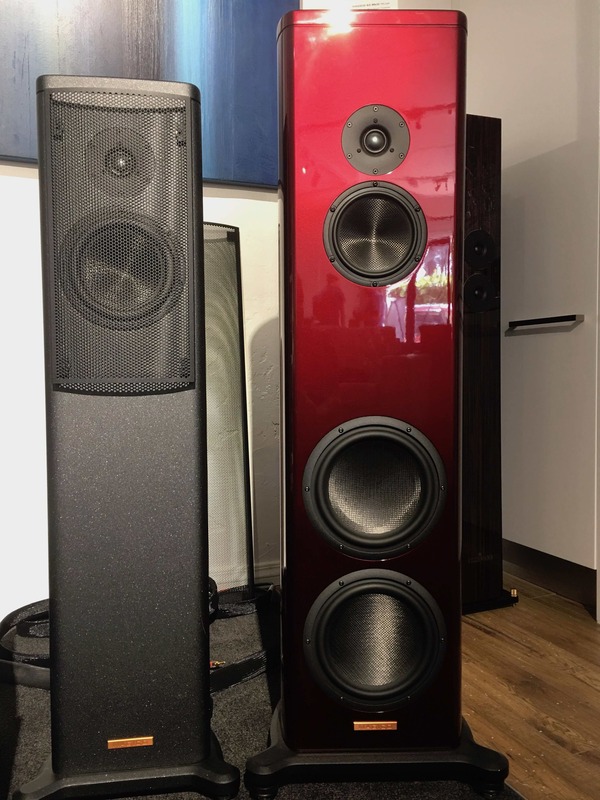 A few weeks back I drove over to the leafy Auckland suburb of Devonport, directly across the harbour from the big city, to check out the swanky new Audio Reference showroom, and have a first listen to the highly anticipated new Magico S3 MkII loudspeakers. Formerly in Auckland’s CBD, I was surprised to learn that Terry Humphries had moved his business to the North Shore, but it actually makes perfect sense. Removed from the bustle and gridlock of the city, the new Audio Reference showroom is an easy 20-minute drive or a pleasant ferry crossing and it’s just down the road from Devonport’s cafes and parks and beaches. Best of all, it’s really easy to find as it’s right on the main drag, and there’s ample visitor parking for those who book ahead. 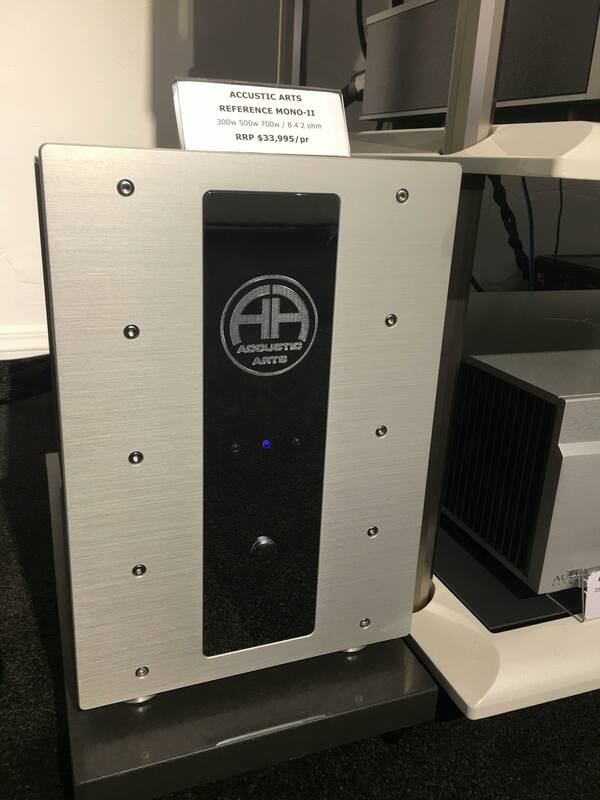 I love this model for auditioning hi-fi gear, because it avoids the annoying scenario of walking into a shop only to find that the sales staff is either busy talking amongst themselves or already engaged with dealing with another serious listener. When you make an appointment with Terry you get a clear chunk of time to listen to your choice of music on the gear you want to hear, and you don’t necessarily have to haul your personal CDs or vinyl there (although you can if you want to) because he’s hooked up for CD-quality (or higher) Tidal streaming. The new showroom is acoustically excellent, and it’s about the size of a largish lounge. You can be sure that Terry will look after you with strong espresso and all the advice you might need, but will also ‘disappear’ to give you the space to really listen to the music. Today’s gear? 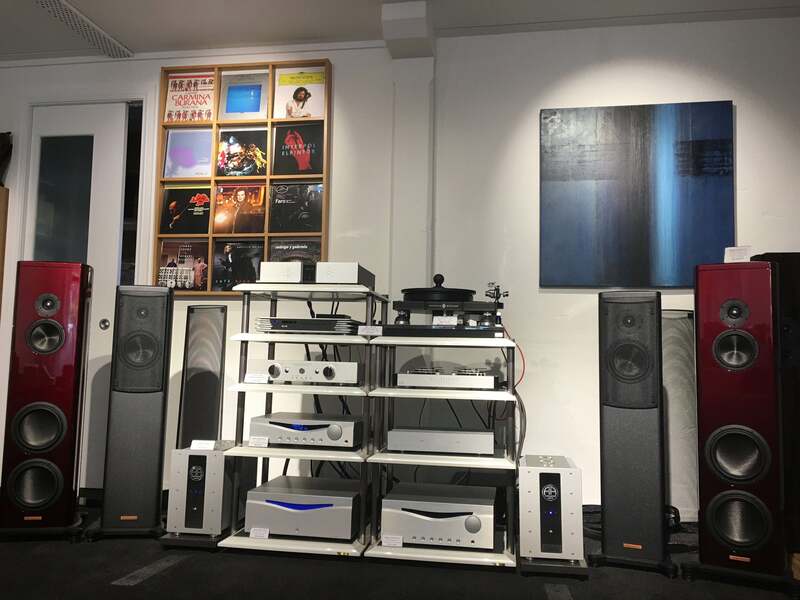 Take a deep breath because it’s a long one: An Auralic Aries Mini Wireless Streamer ($895), an Audia Flight FL-S1 preamp ($9995), Accustic Arts Reference Mono-II monoblock amps ($33,995), Tellurium-Q Silver Diamond XLR master reference interconnects ($3995), Tellurium-Q Silver Diamond master reference speaker cables ($9750), not to forget to mention the TAOC AS4II-4S 4-level rack ($3000). Did I forget something? Ah, yes: the Magico S3 MkII floorstanding loudspeakers ($54,995), which comprised the main event. Today I was thinking about what came out of those speaker cones on a small selection of music, and I just couldn’t get over how different it sounded to my modest system at home. I revved the speakers up with my 1992 CD pressing of the Brand X track, ‘Nuclear Burn’ (The Plot Thins – A History Of Brand X), and just for kicks, compared it with the Tidal streaming version. And to be honest, the difference wasn’t night-and-day. This is a great-sounding, dynamic jazz-rock-fusion track in any case, despite its 1976 recording date. While this track sounds huge and all-enveloping and almost overpowering on my GoldenEar Triton One’s, on the Magico’s the deep bass was quite recessed but, in its absence, a world of detail emerged; not fussy, pointless detail but musically useful detail. On top of that, it just sounded so damn nice. Ray Lamontagne’s Ouroboros (2015) is a fine-sounding psychedelic folk-rock delight with a moody, drifting feel, and its first song, ‘Homecoming’, sounded more high definition and even more atmospheric than I’m used to hearing it. Secret Rhythms (2002) is an amazing duo project between two German legends, electronic genius Burnt Friedman and relentless (and late lamented) Can drummer Jaki Liebezeit and it’s a splendid job of audio engineering and mastering excellence. I couldn’t get over how different it sounded on the Magico’s; a difference I likened to a complete remix. It usually sounds mellow, jazzy and drifting and intensely layered, but on the MkII’s it was suddenly tightly coiled and the layers turned into one organism. This is a record I’m intensely familiar with and I just couldn’t figure out the transformation. Brendan Perry’s Ark (2010) is one of the most astounding-sounding digital recordings of the century so far, especially for its huge 3D-like imagery and precision-engineered combination of electronic and performed elements. And again, what happened with the Magico’s on ‘The Bogus Man’ was that they made it sound less huge, an utterly different sonic experience, but emphasised the tripped-out nature and the grain in the sounds. The drums were rendered less life-like but the sick feeling Perry aimed for on this end-of-times album was more upfront. Then there’s Emiliana Torrini and her track ‘Birds’ (Me And Armini, 2008) which combines her sweet vocal with actual birds tweeting, acoustic guitar and deep bass, but has completely different dreamy yet rhythmical mid-section. Again, the Magico’s made this sound radically different, bringing out different aspects as if it was remixing it on the go, adding honey-like sweetener but subduing the bass response. Talk Talk’s The Colour Of Spring (1986) is one of those rare 1980s albums that sounds as fresh as the day it was minted, and this quite complex mesh of mostly electric instruments (but which includes shards of acoustic guitar and deep, resonant bass) is a full frequency recording that I can never resist playing on a new system. ‘Happiness Is Easy’ has deep, woody bass and sharp, snapping drums as well as surging organ and real dynamics and the Magico kept it transparent without losing anything of its punch, although once again, the depth-charge bass could have done with a subwoofer. Lastly, I turned my attention to Swiss duo Yello’s latest album, Toy (2016). This recording is about as sparkling and digital as is possible and has incredibly deep bass on ‘Limbo’ that the Magico’s simply weren’t up for. Otherwise, it sounded fine but on balance, I wondered whether the Magico’s real strengths were with acoustic music. With their charming wood-grain looks they even look like speakers designed to bring out the best of orchestral or acoustic tracks, and I could have kicked myself that I didn’t bring any. Terry mentioned that the Magico’s should sound even better (read: more compatible) on a new amp he was expecting in, and sure enough, a few days later he sent me an email raving about the new Ayon Elipson Mono blocks, so now I’m just going to have to make a return journey to hear what these super-refined speakers sound like with different amplification. * All the gear mentioned in this review can be read about in more detail here.